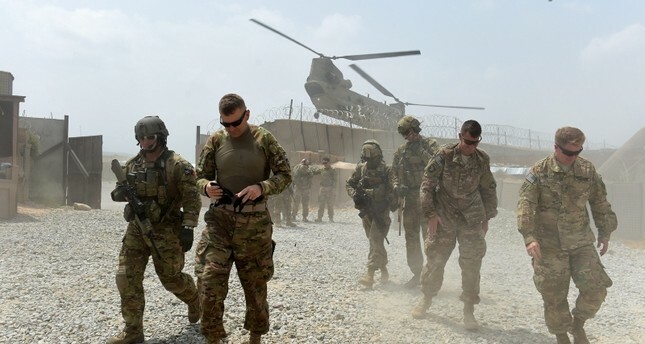 A Taliban suicide bomber killed three NATO forces on a foot patrol in eastern Afghanistan on Sunday in an attack that also wounded a U.S. soldier and two Afghan troops, NATO said in a statement. The Czech military confirmed that the three killed were Czech service members. The Taliban claimed the attack, which took place near Charakar, the provincial capital of the Parwan province. "My thoughts and prayers, along with those of all of the 41-contributing Resolute Support nations, are with the families and friends of our fallen and wounded service members, and our injured Afghan brothers and their families," said U.S. Army Gen. John Nicholson, the commander of U.S. and NATO forces in Afghanistan. "Their sacrifice will endure in both our hearts and history, and further strengthen our resolve." Czech Defense Minister Lubomir Metnar also offered his condolences. The Czechs had recently approved a plan to deploy 390 soldiers in Afghanistan through 2020, up from the current 230, as part of the NATO-led Resolute Support mission. NATO formally concluded its combat mission in Afghanistan in 2014, but some 16,000 U.S. and other NATO soldiers are providing support and training to Afghan troops and carrying out counterterrorism missions. Last month, the Taliban struck a NATO convoy with a suicide car bomb in the eastern Logar province. The attack killed two civilians and damaged a NATO vehicle. Elsewhere in Afghanistan, the Taliban attacked a newly constructed district headquarters in the southern Uruzgan province early Saturday, killing four Afghan soldiers, according to Mohammad Maruf Ahmadzai, the provincial police chief. He said nine Taliban fighters were killed in the ensuing gunbattle. The Taliban claimed the attack and said they captured soldiers alive. Both the Taliban and a local Daesh affiliate regularly target Afghan security forces. The Daesh affiliate has also carried out several attacks targeting the country's Shiite minority. On Sunday, IS claimed a suicide attack two days earlier on a mosque in the city of Gardez, south of Kabul. The attack killed at least 29 people and wounded another 81.